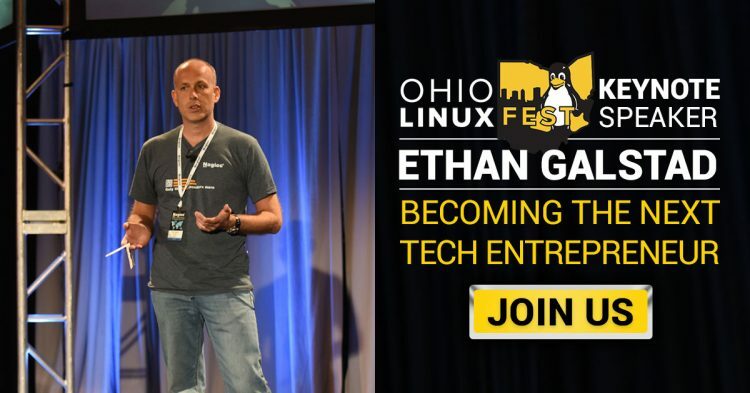 Ethan Galstad, Founder and CEO of Nagios, will be giving the keynote presentation at Ohio LinuxFest 2016, this coming Saturday, October 8th at the Hyatt Regency in Columbus, Ohio. The Keynote will highlight the benefits of the entrepreneurial spirit, what it takes to be a founder, and lessons learned along the way of building a successful software startup with its roots in Open Source. He’ll go into the advantages that Open Source software provides entrepreneurs and how organizations can leverage technology and it’s own expertise to kickstart their own entrepreneurial ventures. Ethan will share tips and tricks he has learned along the way, as well as things aspiring entrepreneurs will love, hate, and accomplish along their own journey. Originally from Wisconsin, Ethan moved to Minnesota to study Computer Science at the University of Minnesota. He held a variety of jobs in desktop support, server administration, and web development before delving into the crazy world of entrepreneurship. He currently serves as President and CEO of Nagios Enterprises, which has grown from a small, bootstrapped startup into a successful company with over 30 employees and thousands of customers worldwide.